To hold an event within the City of Fremantle including a community event, music events, sporting events or corporate event, please contact the relevant officer below to discuss your plans prior to submitting an events package. 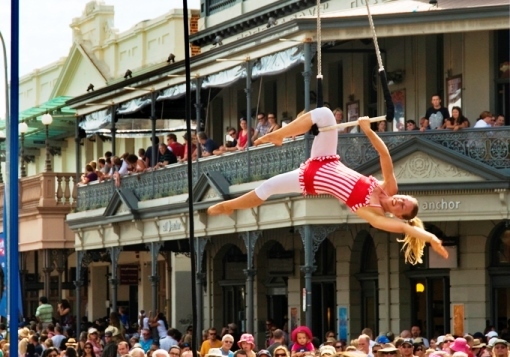 The City of Fremantle recently adopted the Sustainable Events Policy, which contains provisions for both City-run events and events that require City approval. Checklists for event organisers are in preparation, but in the meantime the City's Sustainable Event Guidelines provides further information on the importance of running a sustainable event. The City does not take bookings for weddings and private gatherings in parks, reserves and on beaches. The public are welcome to utilise these spaces free-of-charge however this is on a first-come first-serve basis, exclusive use cannot be granted and no guarantees can be made about the availability of these spaces. No alcohol can be consumed in public reserves and wedding gatherings can have up to 50 people in attendance. The grassed area at Arthur's Head next to the Round House can be booked exclusively for weddings and events, contact the Round House direct for enquiries.